As a full professor and also an M.A. supervisor in cross-cultural communication and English language, Wande Wei has been actively involved in cultural exchanges and translation studies for over 30 years. He is the former director of the Graduate English Teaching Department in the School of Foreign Languages of Wuhan University of Technology. 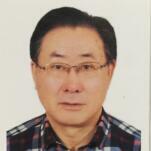 He is also a member of the Higher Education Association for Foreign Language Teaching and Researching. He has successfully published more than 25 academic research papers, and accomplished 20 research projects as well as 15 textbooks mainly concerning cultural and translation studies. He has also held visiting professorships in two universities in the USA, giving a variety of cultural lectures to local students and faculties. Besides, he has been engaged in cultural exchanges and business negotiations with delegates and companies in countries including the USA, Canada, England, Italy, Australia, Iraq and areas including Hong Kong, Macao and Taiwan ever since 1982. In short, he has always shown his commitment to strengthening cooperation and mutual benefits between different countries in terms of culture, education and business.